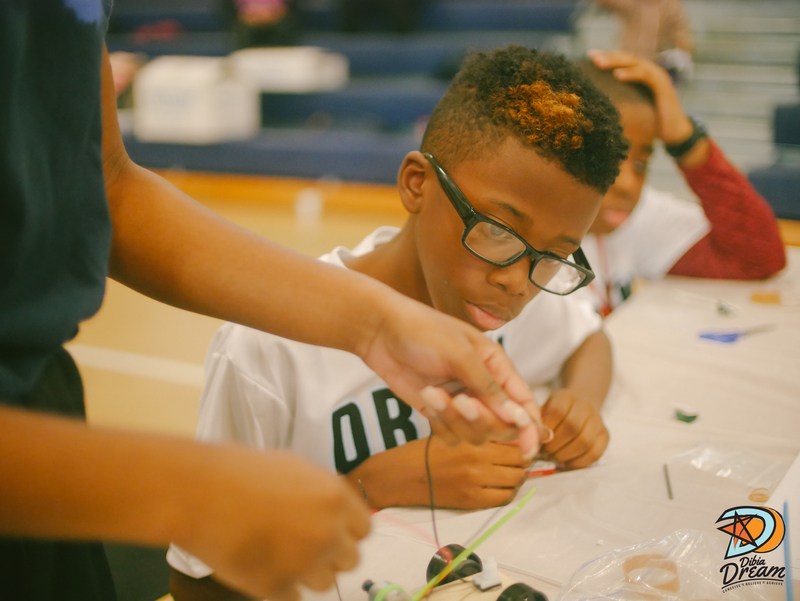 In February DREAM in partnership with the NBA Retired Players Association and STEM NOLA hosted a DREAM BIG Clinic igniting the fire in youth for an introduction into our STEM initiative. Over 100 youth were impacted at our ‘STEM in Sports Curriculum’ during NBA All-Star Weekend in February 2017, hosted in the mighty city of New Orleans. “This curriculum is designed to be the perfect blend of sports, educational development, with an emphasis on life skills and physical fitness,” said Brandon Okpalobi, Founder of Dibia DREAM. The boys and girls ages 7-16 were able to work on physical conditioning and skills as well as learn and experience how science, technology, engineering, and mathematics can take them to new heights. According to the U. S. Department of Commerce, STEM occupations are growing at 17%, while other occupations are growing at 9.8%. The youth that participated in the program are at a disadvantage in this growing career area. Though STEM funding is on the rise many youth may not experience this unique combination of curriculum. The STEM industry has shown to have more equal pay opportunities for women and across ethnicity. Attendees were motivated to pursue their dreams as they left with confidence to excel academically, socially, and athletically. Exposure to STEM at a DREAM BIG Clinic is one way DREAM looks to foster growth in the youth we serve year-round. Thank you to all of our partners and sponsors who made this event possible. Check out the DREAM BIG Clinic video!